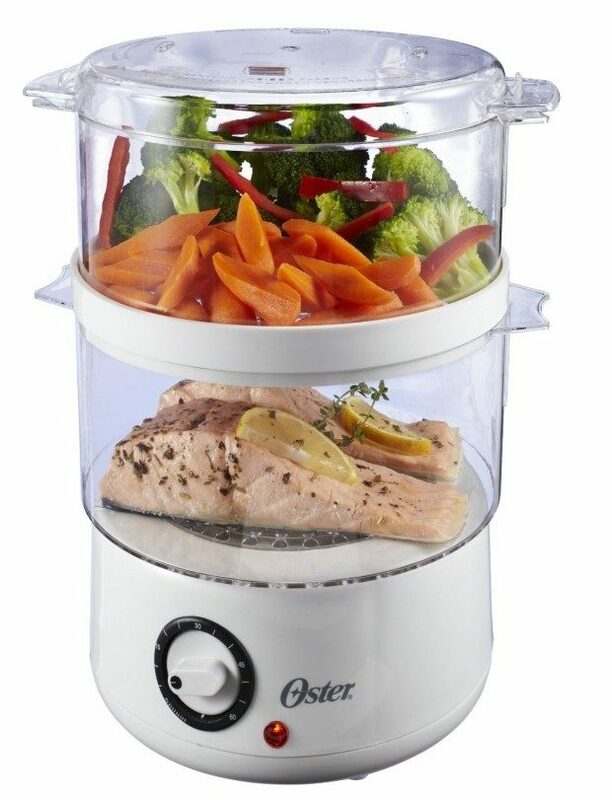 Oster 5-Quart Food Steamer Only $13.84 - Over Half Off! You are here: Home / Great Deals / Amazon Deals / Oster 5-Quart Food Steamer Only $13.84 – Over Half Off! Oster 5-Quart Food Steamer Only $13.84 – Over Half Off! Cut down on your fat intake by steaming! This double-tiered 5-quart manual control steamer is designed with 2 steaming bowls so you can prepare a complete meal quickly and easily. Enjoy a healthier lifestyle and feel good about the food you prepare.complete meal quickly and easily. Enjoy a healthier lifestyle and feel good about the food you prepare. Get the Oster 5-Quart Food Steamer for Only $13.84 – Over Half Off!